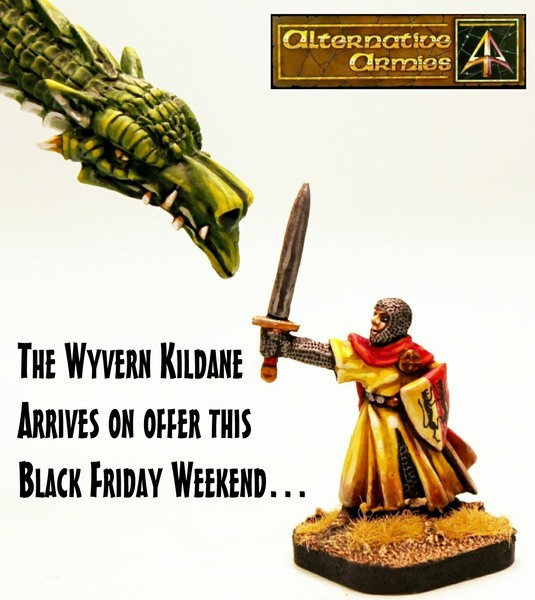 Alternative Armies: Black Friday Event next week and Kildane nears! 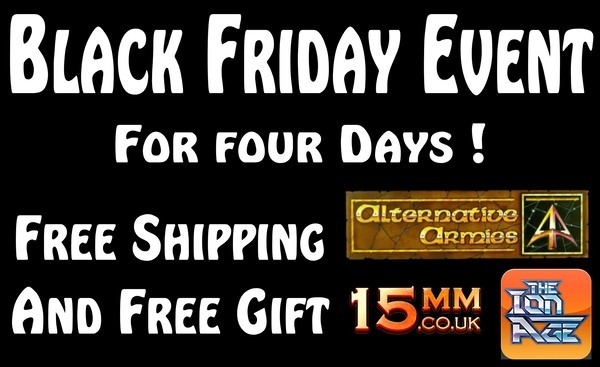 Alternative Armies will be having our Black Friday Event (alongside 15mm.co.uk and The Ion Age) from the 25th to the 28th November and we will also be releasing a mighty new massive 28mm scale monster sculpted by Sam Croes. Alongside the new Sedan Chair for Flintloque this is our big release of the month. We give you for now the name and this little ditty picture of VNT33 The Wyvern Kildane! We will release the Wyvern next week with a lot more to see and read alongside it. It will be our largest monster kit in the whole sum of our ranges and it was designed for wargaming with as few pieces as possible and very rugged for use on table. Oh...and the 28mm Knight in the picture..he is free with the Wyvern! What a bonus. It will appear on our Monsters and Creatures page. The Black Friday event this year will be announced when it is live and it will be composed of the following core promotions which can be applied to EVERTHING on the website (except digital downloads). 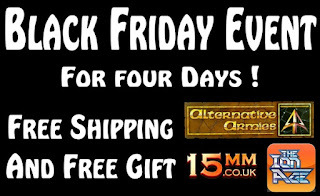 All orders over 12.00GBP product value will be shipped free postage worldwide AND all orders with 20.00GBP or more product value will automatically get an extra 5.00GBP gift of miniatures selected by us and related to what has been purchased. Superb offers to get you your winter campaign supplies! You need do nothing more than just add to your cart and checkout. Please note the shipping offer is no standard mail and airmail; the signed for option remains at its flat charge. Select during checkout. Have a look back through our blog and our emails and see what tickles your paint brush. Not long to wait now.